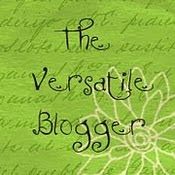 Cooking is time consuming, which is why I love my crock pot! There just aren't enough hours in the day to fit in everything that needs to get done--along with all that you want to get done--like reading and writing! So why use up precious time standing over a stove? Although crock pot meals may take hours to cook (but keep in mind, the crock does the cooking, not you), some only take minutes to prepare, like this tasty recipe I'm sharing today from my GE Slow Cooker Recipe Book! 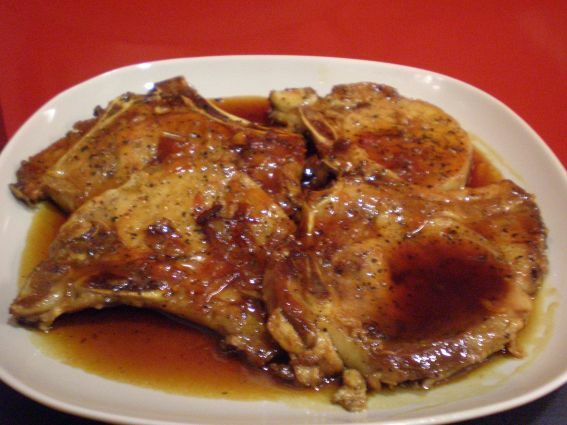 Serve this with rice and a salad, and you're good to go! Enjoy! Do you own a crock pot? If so, what's your favorite crock pot recipe? Thanks for visiting! Hearing about the death of Rodney King brought back memories of his brutal beating, including the tee-shirts I saw not long afterward when I visited my sister in L. A.
Underneath a photo of King being bludgeoned was the caption, "Welcome to Los Angeles, Where We'll Treat You Like a King." 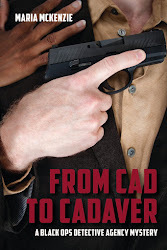 For a complete breakdown of the King case, click here. Rodney King was by no means an upstanding citizen, but the beating took things to the extreme. Despite this, and the resulting race riots and strained racial relations, King asked, "Can't we all just get along?" I love to see anything that helps close the racial divide in our country, and I hope the books I write contribute to this in some small way. With that being said, please enjoy these videos that put a funny spin on racism, as well as racial reconciliation! Warning, my kids introduced me to these! All videos by Rhett and Link, and Julian Smith, are highly addictive! Happy laughing! Are you old enough to remember the Rodney King case? Also, had you ever heard of Rhett and Link or Julian Smith? For most authors, writing the book is the easy part. Marketing and promoting provides the greatest challenge! Marketing is not a one size fits all endeavor. 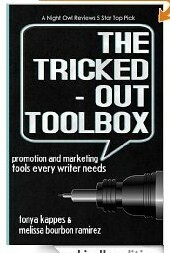 The Tricked-Out Toolbox encourages you to work with your strengths in order to market your books for the greatest success! 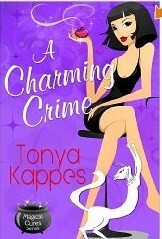 Be sure to visit Tonya Kappes's Blog for weekly tips that help authors market and promote their careers, and check out her latest release, A Charming Crime! 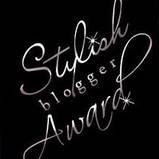 If you enjoy promoting, do you have any tips you'd like to share? If you're not a fan of marketing, what have you found that works best for you? 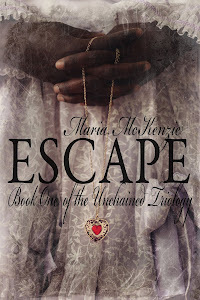 The release of my new novel, Escape: Book One of the Unchained Trilogy, is getting close! 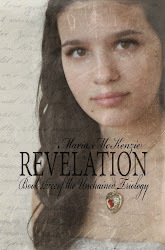 My wonderful cover artist, Renae Denbow, is in the process of designing a new cover. 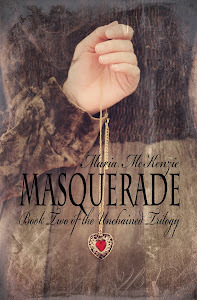 So now I'm focused on writing Masquerade, which is part two. 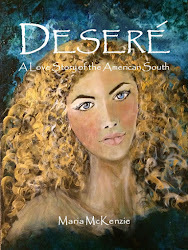 Lavinia, the product of a mixed race marriage, is the main character, and she runs away from home to live as an actress and pass as white. 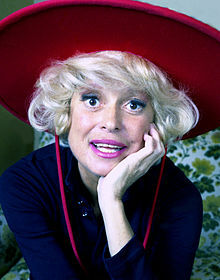 While working on Lavinia's story, I thought about Broadway sensation Carol Channing. When she was 16, her mother exposed a family secret. Channing’s paternal grandmother was black. Her mother also warned that if Carol had children, it was possible that that part of her ancestry just might show up. Channing didn’t reveal her African American ancestry until 2002, at the age of 81, when she wrote her memoir, Just Lucky I Guess. Still alive at 91, Channing says she was never ashamed of being part black. Because of the common stereotypes about blacks being naturals at singing and dancing, Channing believed herself to be a better performer. In her memoir she said, “I thought I had the greatest genes in showbiz." Did you happen to catch Carol Channing's revelation? Thanks for visiting!